Oxford PharmaGenesis had a healthy presence at the 2018 European Meeting of the International Society for Medical Publication Professionals (ISMPP) this year. Nearly 300 delegates, from a range of pharmaceutical, medical communications and publishing companies, gathered in London to discuss topics on the theme of ‘Advancing medical publications in a complex evidence ecosystem’. Our team of HealthScience experts – including Chris Winchester, our Managing Director and Chair-Elect of the ISMPP Board of Trustees, and Richard White, our Commercial Director – played key roles in expert sessions throughout the conference. These included round-table discussions on questions of authorship, open access, and health economics and outcomes research, and a breakout session led by Richard White on the growing importance of real-world evidence and what it means for publication professionals. We were delighted that all sessions were oversubscribed! We were particularly proud to be involved in the panel discussion on embracing change in medical publishing. When the audience was asked to vote on whether the pharmaceutical industry should think about using methods such as open access, preprints and post-publication peer review to publish the research it funds, the answer was a resounding “Yes”. Shire’s industry-leading open access policy was officially unveiled at the meeting and we hope that other companies will follow their lead. For more on emerging innovations in medical publishing, see the Open Pharma blog. Oxford PharmaGenesis was also pleased to be involved with a number of posters at the conference. 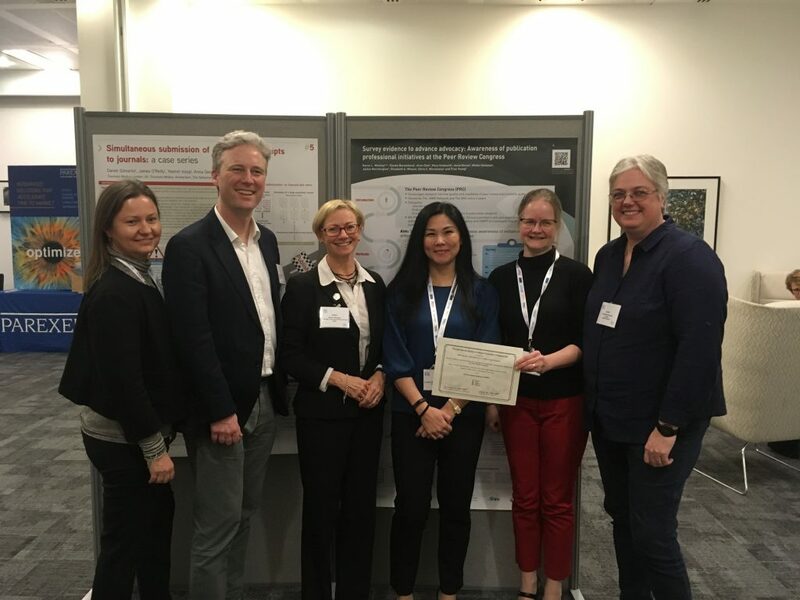 One of these, the augmented reality poster ‘Survey evidence to advance advocacy: awareness of publication professional initiatives at the Peer Review Congress’ by Karen L Woolley and colleagues, took the overall prize for best original research poster. As ever, ISMPP EU gave us a wonderful opportunity to share knowledge on the latest topics in medical publishing, and to catch up with clients and collaborators. We’re looking forward to ISMPP US already – see you in National Harbor!